A critical miscommunication between Kingston’s goalkeeper and his defence caused the ball to fumble across the line. 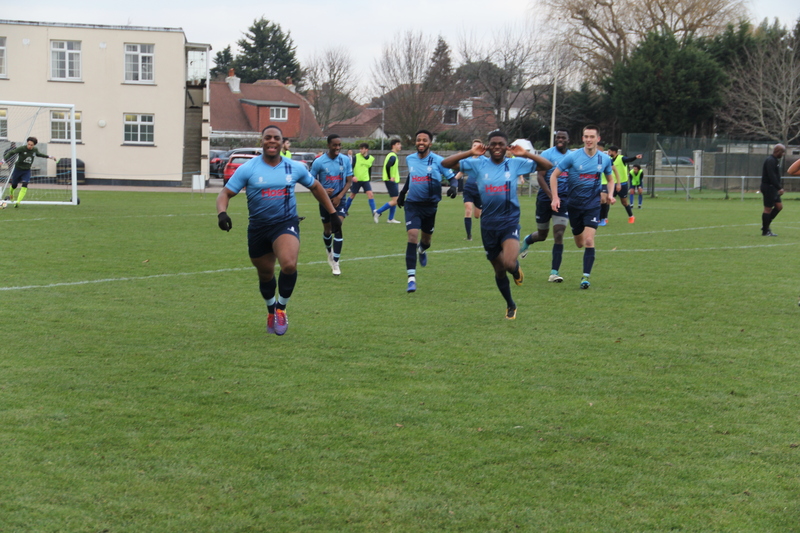 The London School of Economics players erupted into celebration, they had come from 1-0 down and were now on the verge of stealing away Kingston’s unbeaten league run. At 2-1 to LSE the final whistle blew around the sportsground, the Kingston players headed towards the dressing room looking completely deflated. They had dominated possession and could have easily been three or four up by the conclusion of the first half. On the opening day of the 2018/19 season Kingston scored in the dying moments of the game against Chichester via Fabio Tavares to salvage a point and start their unbeaten run in the league. At their best, Kingston have had some clinical displays this season including an 8-0 win over Goldsmiths first team in the Conference Cup earlier in the season. Earlier in the season, they managed to put seven past London School of Economics’ third team, their second team being the team that would eventually end the unbeaten streak. Players such as Kelvin Adjei, Saif Khan and Joseph Headley have scored numerous goals this season and given Kingston many attacking threats. With no shortage of creative players, Kingston often have a substitute who can come on and change the game from the bench. Kingston have often been helped this season in their strength at the back and their defensive prowess. Simon Salomone and centre defensive midfielder Olly Cox are not afraid to commit to a tackle and some of their stalwart defending has been pivotal in protecting a lead. “We’ve got some of the boys like Jack Connelly, Simon Salomone, Reece Harper in goal as well; they’re all third years so this is their last season before they leave us and go on to do whatever they’re going to do so mainly we want to win the league for them,” McMillan said. Had Kingston beat LSE they could have overtaken league leaders Royal Holloway but the club are optimistic they can press on and challenge for promotion. Royal Holloway had been on an undefeated streak too but they recently lost to London School of Economics third team, clearly a university that prides itself on ending unbeaten streaks. Kingston will hope to continue the form that has seen them obliterate some of their league opposition. The meeting on 20 February between KU and Royal Holloway could prove to be the decider of who wins the league.